My sweetie was telling me how he’s been reading restaurant sites to find the nutrition information. He was looking for Mexican food, something that he’s not been able to eat lately, due to the high salt. Can you hear the quest music in the background? I could. I was on a mission for the weekend to find low salt alternatives so we could make our own Mexican food. 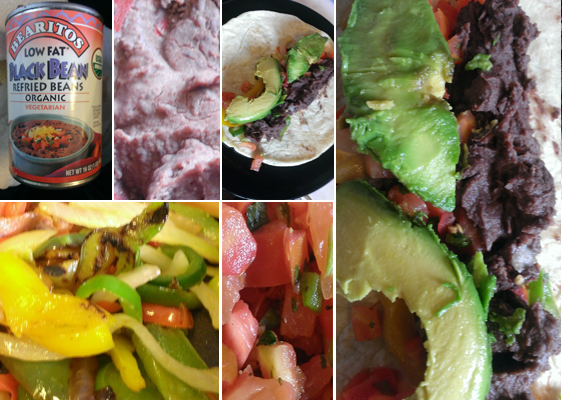 The key elements were soft tortillas, fajita mix – peppers and onions, salsa with cilantro, refried black beans with low everything (fat, salt, additives), and fresh avacado. How hard could it be? I found most of the ingredients at Central Market, a great local place near our house. They make their own tortillas there, and I found an alternate that was pre-packaged. Some salt (about 180 per tortilla), but acceptable. Father’s day was coming up, so their kitchen had made fresh salsa. Don’t worry, we also came up with a no salt recipe. The beans came from a can, low fat, and only 300mg for a half-cup of beans. As we’d be using much less than that for a serving – more like 2 tablespoons, we’re looking at 100mg there. The whole meal came to 400mg of salt, well within the once-a-day-with-salt-meal-allowance. I will write a separate post on how much is too much salt. For now, let’s go with the daily amount of up to 1500-2000mg (or less than a teaspoon) of salt. 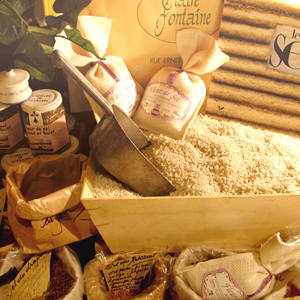 Your local market may have a low-salt variety. Roll the tortilla up and enjoy! This experiment tasted amazing! I made up an extra one, put it in a gallon baggy, and nuked it for 30 seconds at work the next day. It was just as delicious a day later, and much more convenient than the mystery food at the cafeteria. Let me know if you try it out, and what you think. Categories: Quick meals | Tags: avacado, black beans, fajita, low salt diet, low salt Mexican, Mexican, salsa, skinny burrito | Permalink.